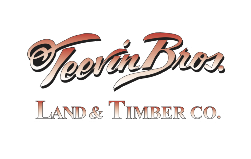 Across southwest Washington state and the state of Oregon, Teevin Bros. trucks are busy hauling canned goods, beverages, lumber, rock products, timber, containers, panel products, heavy equipment, and just about anything we can get wheels under. Our fleet of Viper Red trucks turns heads and wins awards for safety and reliability. As in all of our business lines, our drivers are known for their courtesy and professionalism. Being dispatched locally, we can quickly respond to our customer’s needs and changing demands. Our inventory of flatbeds, container chassis, long-loggers, hay racks, curtain vans, low-boy, cargo vans, and rock-hauling equipment means we have what our customers need, when they need it. Being integrated with our intermodal operations, our trucking division provides top shelf service that ensures inbound deliveries meet sailing and reload schedules, and delivery services are at the customer’s direction. To learn more about our trucking service, please contact Kandy Olson.